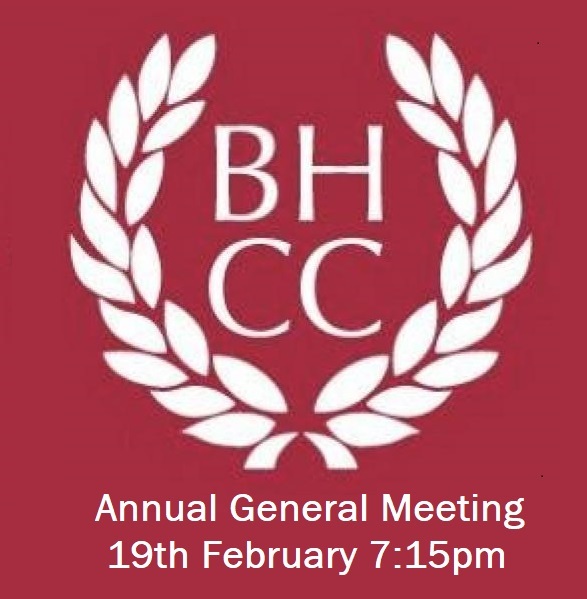 Notice : The Annual General Meeting of Benwell Hill Cricket Club CIC will take place in the clubhouse on Tuesday 19th February, commencing at 7:15pm. We would like to encourage as many members and players to attend as possible. Life Members: N Green; T Williamson, A Harrison, G Harrison, S Lunn, WJ Smalley, K Shaw, B Pearson, H Dyson, L Dawson, D McKay, F Marley. 1. Apologies: S Williamson, K Coetzer, B Duell, P Haves. 2. The minutes of the previous AGM (31/1/2017) were accepted as a true record. The following represents my first Annual Report as Chairman of Benwell Hill CC. I always knew it would be a difficult task to follow in Stewart Allen`s distinguished footsteps but I had not quite realised the scope of the role. In the course of the last 12 months the Club has become a Community Interest Company with a Limited Company trading arm, an extensive programme of refurbishment has been completed, a number of significant costs have been incurred as the Club purchased various essential items, a huge number of volunteer hours have been logged by a whole host of individuals and every now and then some cricket has broken out. In terms of cricket, much progress was made on the field at all levels. Club Captain and Director of Cricket Kyle Coetzer led from the front with some wonderful batting and he was ably supported by Overseas Professional Haseeb Azam. The First Team finished second in the top league in North East Cricket and won two significant trophies. At least this was the position at the time of writing – I do not propose to go into the registration difficulties that beset several other clubs in the NEPL in 2017 –our house was in order which is the main thing. Andrew Dawson carried out a magnificent job as Second Team Captain and a team made up mostly of home grown Benwell Hill players won their league with a game to spare. 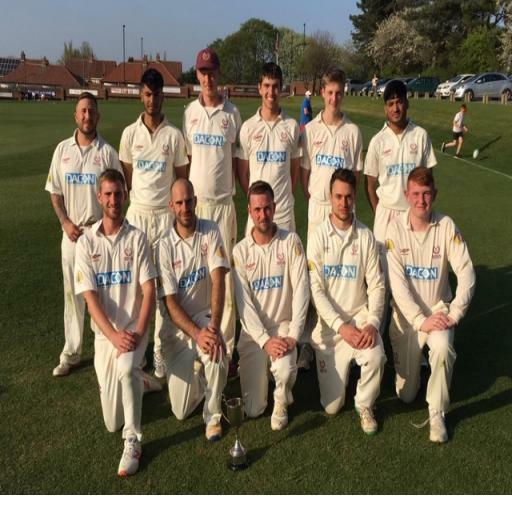 The three Third Teams had mixed seasons – West Tyne League Cricket in particular is tough but our partnership with Riding Mill is an effective one and a good deal of enjoyable cricket was played. Our Women and Girls continue to enjoy the game and are becoming a strong presence in Northumberland Cricket. My thanks to Sally Anderson and Scott Williamson for leading this aspect of our Club so effectively. Junior Cricket remains strong – two `graduates` in Max Williamson and Luke Mussett will play for Durham Cricket Academy in 2018 and we have a number of very promising Under 11 cricketers who may well follow them down that path. Barry Pearson is the lynchpin of the Junior Section backed up by some absolutely top coaches. The input of the Director of Cricket has added a whole new dimension to the Junior Programme and put a spring in the step of some of the veteran assistants. All this is extremely positive but my plea is that all playing members put their recruiting hats on – we need more senior players to fulfil our fixtures and more assistants to help with the delivery of the entire cricket programme. We are a lucky club in many respects but we compete in tough leagues and against a backdrop of declining participation – hence the need for even more sustained effort. Off the field, Committee took the progressive step to refurbish the Club House. Again many people made this happen – it was not a cheap exercise but it has given the Club a real lift. The Social Committee has staged numerous events in the new setting and the vital Funeral Business is thriving under the committed stewardship of Pat Richards and Ann Frisken. The underlying message to all Members has to be that we cannot stand still when it comes to investing in the Club and planning and paying for further changes will be the challenge for Members and the Committee in 2018 and beyond. Our Squash Section goes from strength to strength under the inspirational leadership of Martin Avery and they also enjoyed League winning success. Later in 2018 we anticipate an amalgamation with Benwell Hill Tennis Club which will enable us to extend our facilities and sporting offer to Members. Over the course of the year I endeavoured to communicate with Members by means of a Newsletter. 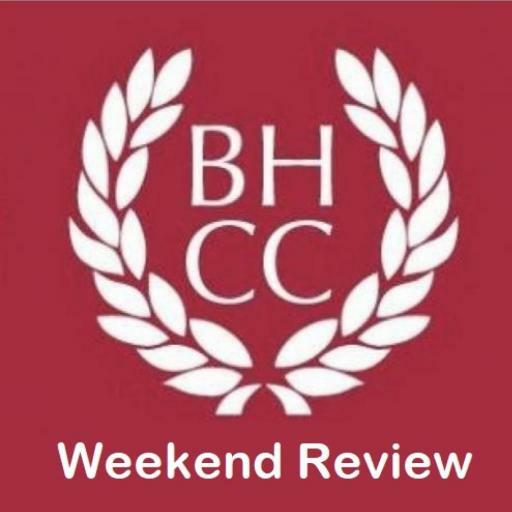 It was relatively easy to write as in each one I tried to highlight one or more of the many unsung heroes who make Benwell Hill Cricket Club tick. I have reached nowhere near the end of the list but I trust that all our volunteers know how much your efforts are appreciated. The same also applies to the professional cleaning and bar staff and Geoff Chambers who always ` goes the extra mile` as Groundsman. In producing this Report all Members will be delighted that Kyle Coetzer has agreed to remain with BHCC in an enhanced role as Director of Cricket for the 2018 and 2019 seasons. Kyle has a clear understanding of Club Cricket and the challenges therein but he brings a professionalism and dynamism to our organisation that is invaluable. We are in safe hands. It is a signal honour to be Chairman of Benwell Hill Cricket Club – it is obvious that I am still learning what the job entails but I sincerely thank all concerned – Members, Directors, Committee, Staff, Sponsors, Supporters, Volunteers – for your support in 2017 and - I fervently hope -through 2018 and beyond. I commend this Report to you for your consideration at the Annual General Meeting. 4. Accounts: Because of the movement to new company structures after 2016, three sets of accounts are provided; BHCC (until October 2016); BH Ltd (April - March 2017); BH CIC (November 2016-March 2017). The Treasurer reported that the CIC showed a deficit of £1,923 - largely due to large payment to Scottish power and a redundancy payment. The meeting thanked Larry Dawson for his work as Treasurer in a particularly challenging year given the move to CIC status. Property Secretary: P Haves was proposed by T Williamson and seconded by F Marley. 3rd XI (West Tyne League) Captain: R Marley proposed by: S Rushton, seconded by: J Kilpatrick. Vice Captain: M Reeves proposed by: R Marley, seconded by: S Rushton. 9.1. Following discussions, Benwell Hill Tennis club would become part of BH CIC from Autumn of 2018. 9.2. It was agreed that Phil Haves would join the board of BH Ltd and Hugh Dyson would replace S Allen on the board of BH CIC. 9.3. F Marley proposed a vote of thanks to all the club's sponsors. Members are reminder that all subscriptions are due for payment on the 1st October in each year. Could you please pay your subscription using the following remittance advice. To: Mr W J Smalley Date………………….. I enclose a cheque/cash in payment of VICE PRESIDENT/PATRON/PLAYING subscription for the year commencing 1st October 2018.